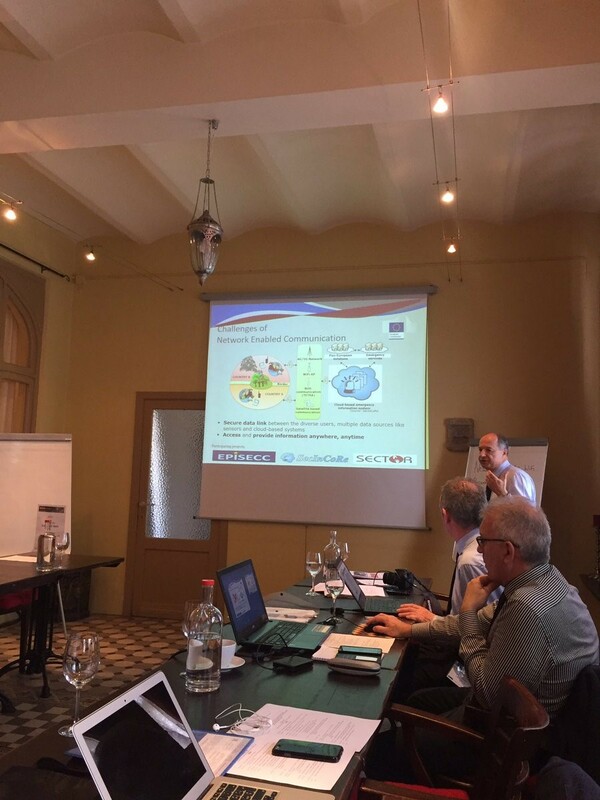 From 15 to 17 May 2017, DH HOME organised the 7th meeting of the Community of Users on Secure, Safe and Resilient Societies, with two days of related Thematic Workshops, including one on Common Information Space (find the programme of this workshop here: https://www.eiseverywhere.com/ehome/231339). On this occasion, Mr Uberto Delprato (ITS Solutions) represented EPISECC and presented to the audience of end-users the concept of Common Information Space (CIS). The projects representatives from EPISECC, SecInCore and SECTOR explained to the participants how the three EU-funded projects had been developing different but complementary approaches to this concept, through Pan European Inventories; Taxonomies and Standardisation. The afternoon session was the opportunity to organise two roundtables focusing on the industry and end-users perspectives. Uberto Delprato was joined by Marie-Christine Bonnamour from PSCE to participate to the roundtables, and participants discussed what would be the interests and motivations for the adoption of a CIS.